Les Terrasses du Port, a new 480-hectare shopping centre in the French city of Marseille, has installed Europe’s largest network of Bluetooth Low Energy (BLE) beacons, enabling retailers such as Zara and H&M to deliver promotional offers and information straight to shoppers’ smartphones. The 250 Bluloc beacons have been supplied by German technology provider match2blue. The content management system used by retailers to deliver offers and the mobile app used by shoppers have also been supplied by match2blue. The platform also provides an analytics dashboard that provides information on the number of people who frequent the various areas of the shopping centre and individual shops. 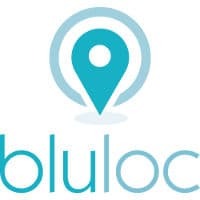 In all, 190 individual shops in Les Terrasses du Port have been fitted with the Bluloc platform. “The basic idea of it is to help the customer shop in a different way,” Stephanie Renda, CEO of match2blue, told NFC World+. “The general idea with installations is that we cover the whole area. We can then calculate the exact position of the user on what we call the iBeacon grid. The user can locate themselves everywhere they go and we can point them in the direction of certain products based on their exact position and the effectiveness of the different beacons which the user’s phone is receiving at that specific position. “There is an opt-in for the user so the user needs to say ‘yes, I want to receive push notifications by this mobile application’ and ‘yes, I allow this mobile application to know my location’,” Renda continued. “On top of that, the platform offers administrators, or the company that owns the platform in the particular location, to define rules.